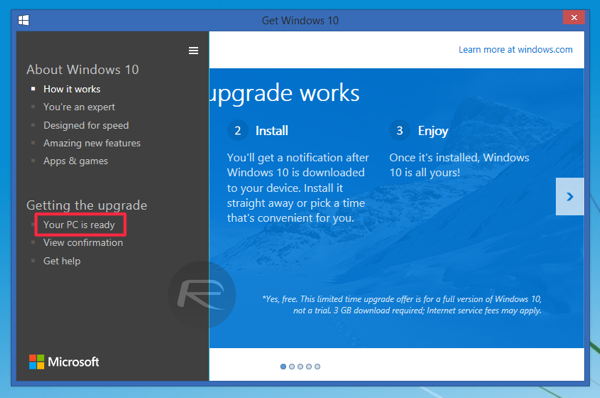 You would be aware by now that Microsoft has begun sending out notifications to Windows 7 / 8.1 users asking them to reserve a copy of Windows 10 so that their PC can be upgraded when the OS rolls out on the 29th of July. However, reserving a copy is far from an ideal upgrade. 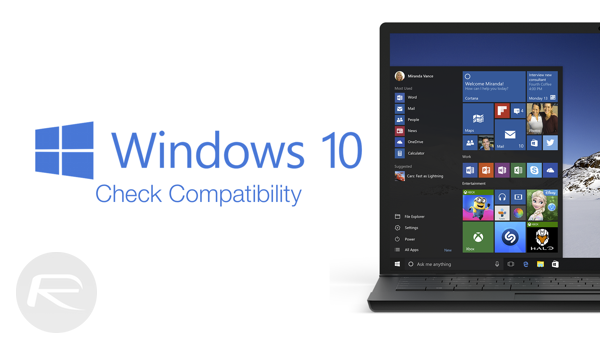 If you want to be sure if your PC will be compatible with Windows 10 when it finally goes live next month, here’s what you need to do. Needless to say, that you need to be running either Windows 7 with Service Pack 1 installed or Windows 8.1 with the latest updates installed as well. 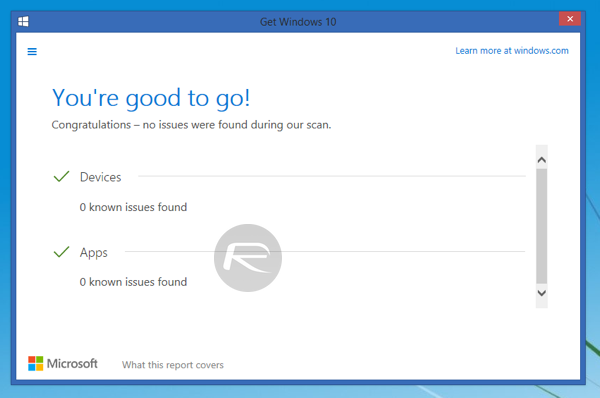 If you have a new Windows logo appearing in the system tray – being dubbed the ‘Get Windows 10’ app – then you’re good to go with the compatibility check. However, for those who have all the updates installed and still can’t see the Get Windows 10 app appear in the system tray, then you may have to wait it out a bit as Microsoft rolls out the notifications for everyone. Step 1: To begin, hover your mouse pointer over the ‘Get Windows 10’ app icon in the system tray, and then right-click on it. Step 4: The diagnosis will now check your existing machine and the OS environment for any possible compatibility issues, and once the test is complete, you should be able to see a list of any probable issues split into two categories: Devices and Apps. We ran the check on one of our PCs and found that it was perfectly good to hop on to Windows 10 when Microsoft rolls it out on the 29th of July. That said, it is likely that PC users across the globe would encounter some sort of incompatibility errors of sorts, but so far we’ve only heard about minor issues, nothing major. If you found some seriously damaging results with this check, do share your findings with us. Thanks for the information. One question: My home desktop runs Windows 7 Pro, but I also run Windows XP as a virtual machine for old programs that won’t work on W7. Will the upgrade retain my XP access? The worst ive had witch is that my cpu isnt supported on a windows 8.1 laptop ive had only for a year. You have to reinstall your Network drivers. I had that problem too, but luckily I just bought my new Motherboard, with a CD full of drivers.